Oh Snap! It’s crazy to see how time flies… About a year ago one of my childhood friends opened a new shop in the heart of Bruges. Lucky for me, we both have a similar taste in clothing, accessories and gadgets… So I pass by on a regular basis for a chat and some fresh gear. On my first visit I was pleasantly surprised to see that Thomas was selling lapel pins, patches and caps from artists and brands as: the Explorers Press, Mokuyobi, BamBam, Pince Pins,… So I was eager to ask him about the possibilties of collaborating on some products and/or selling these items at his shop. When I mentioned my dream of creating my first Lapel Pin, Thomas got super excited and told me he was thinking about a special Pin set for the One Year anniversary of the shop. With a head full of ideas I started drawing and working on some designs. 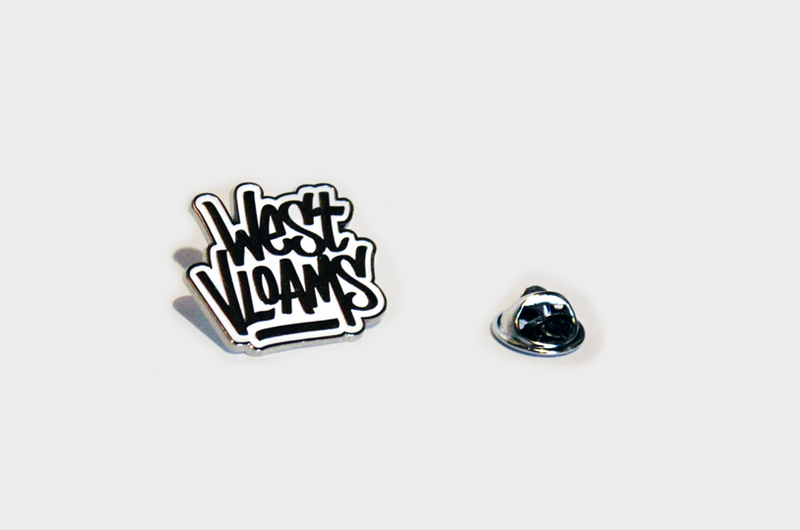 For my personal pin I wanted something that completed my earlier collection with “West Vloams Vo Je Fretter” Shirts, sweaters and Snap Backs… Something small for the people who love to represent my region but not as explicit as the shirts. 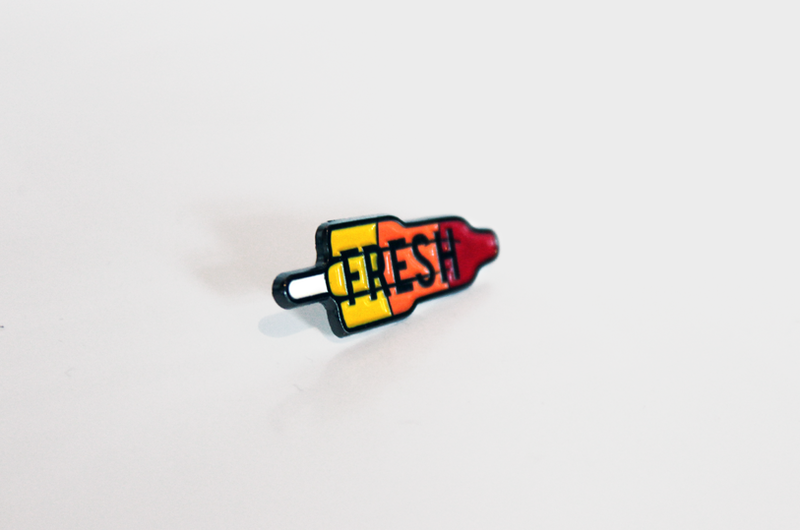 For the Fresh Pin, I found inspiration in my first visit to the shop. With the opening of the store in 2016 Thomas handed out fresh popsicles to the visitors… Beside of that, Belgium is home to one of the most iconic ice cream shapes in history: The rocket popsicle (Raket ijsje). So I thought it would be fun to have these little rocket shaped pins for the shop and they turned out to be super awesome! To complete the project we invited music label Damp Oord to join in on the concept (not my design), so we would have a unique local pin set for the anniversary. Get yours today!! 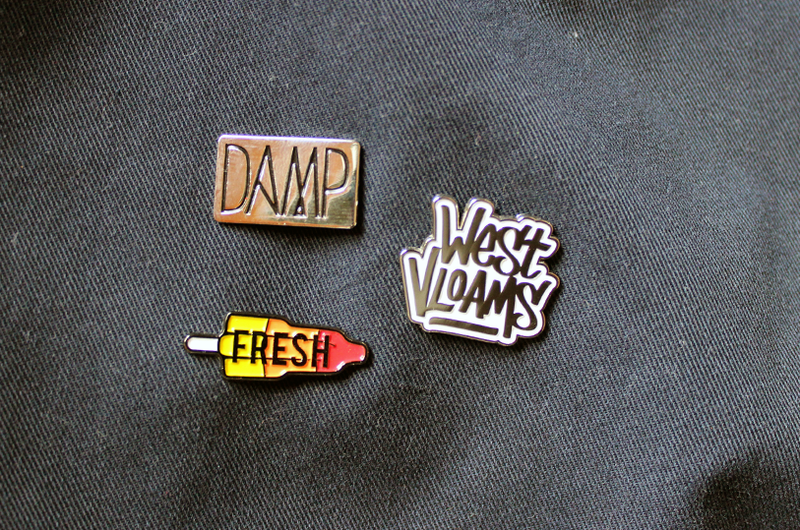 (This lapel pin set is exclusively available at Fresh Brugge). Next to the lapel pin project, there was a little expo by one of my old classmates “Call Me Frank”. 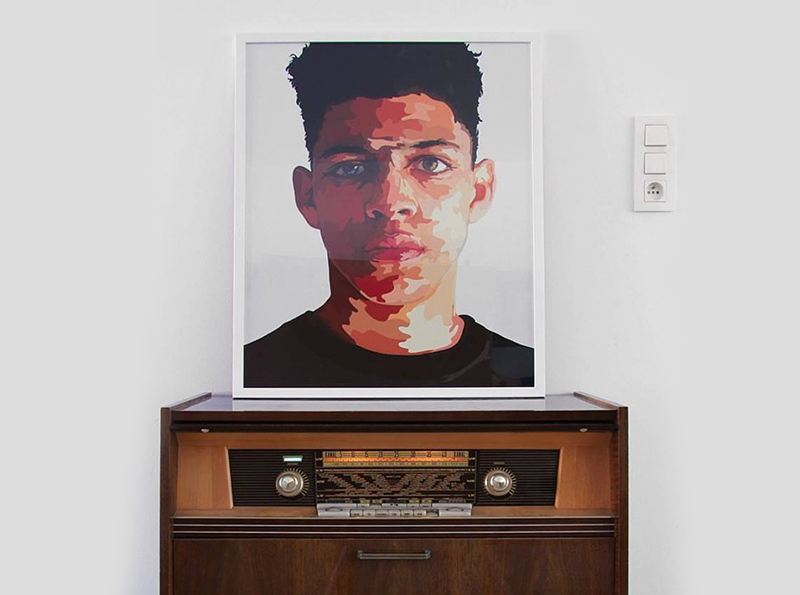 He has been making these crazy portraits on Liquid plexiglass and a lot of other fun stuff… The John Doe print (below) and 3 other limited edition prints are exclusively available at Fresh Brugge. Make sure to pass by the shop to see his work or have a look at his website here. 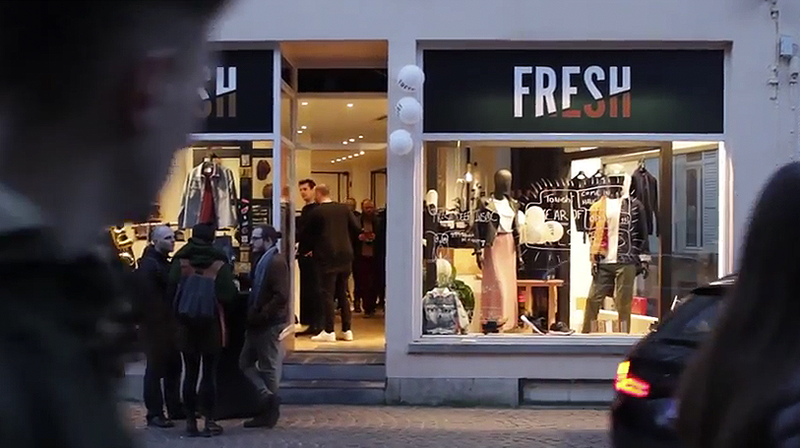 Below you can find the aftermovie of the One Year Anniversary, filmed and edited by the Fresh brother Samuel.